The first in a two-part collaborative effort between Terry Pratchett (the Discworld series) and Stephen Baxter (the Xeelee Sequence series), The Long Earth is a novel named after the seemingly infinite number of parallel worlds at its heart, worlds that become traversable by most humans with the invention of a simple homemade device. FTL: Faster Than Light is an addictive indie roguelike developed by Subset Games. Following its incredibly successful Kickstarter origins – in which over 1000% of the original $10,000 goal was pledged by over 4,000 backers – the game is now available directly from the game’s website or via Steam. FTL focuses on intergalactic exploration, space ship combat, diplomacy and the difficult roguelike experience. For the uninitiated, roguelikes are games defined by the aforementioned tricky gameplay, randomly generated universes and dreaded permanent death. Dark Souls is the spiritual successor to 2009’s cult video game hit, Demon’s Souls. Another quiet success delivered by From Software for both Xbox 360 and PlayStation 3, a PC port containing the additional content Artorias of the Abyss was recently released in August 2012. Origin is the reimagining of the – you guessed it – origins of DC’s most super team of superheroes. 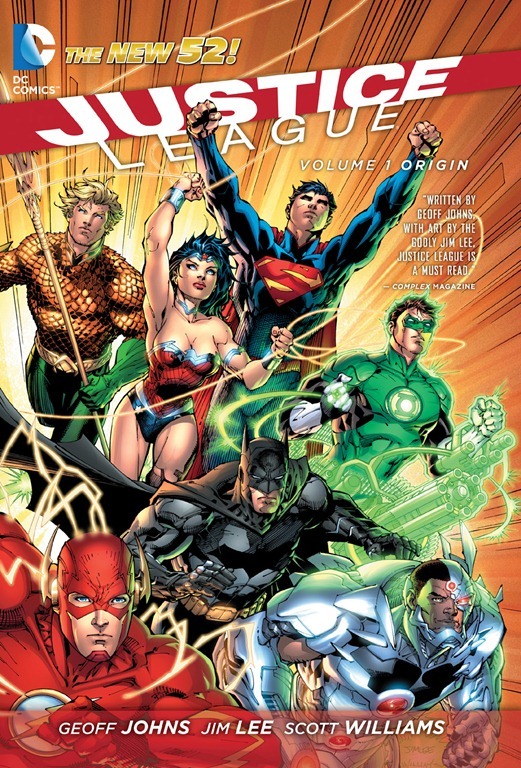 Part of the recent New 52 releases, Geoff Johns (Green Lantern) and Jim Lee (Batman: Hush) have returned the Justice League to their roots, taking the opportunity offered by the relaunch to give the group a brand new, action-packed beginning. One that sees alliances forged, tempers flare, laughs shared and even a new member, Cyborg of Teen Titans fame, grace the ranks. Wes Anderson is back, at last, with the delightfully quirky Moonrise Kingdom, his seventh live action feature. Set in 1965 in the quaint New England town of New Penzance, it follows two fleeing unpopular young lovers and their ensuing search party of parents, the town’s police captain and the American Boy Scouts. It stars newcomers Kara Haywood and Jared Gilman alongside Bruce Willis, Edward Norton, Bill Murray, Frances McDormand and Tilda Swinton and received a limited cinema release on the 25th May 2012. Alice: Madness Returns is the sequel to 2000’s American McGee’s Alice, developed by Spicy Horse for a variety of formats. The plot sees Alice attempt to defend Wonderland from a new threat whilst also facing her own very real trials – battling madness, unearthing a dark conspiracy and discovering the root of the Liddell family’s misfortune. J. Edgar Hoover was one of the most notable figures in American History. During his time as head of the FBI he kept files on hundreds of American citizens including Robert and John F. Kennedy, Eleanor Roosevelt and Dr Martin Luther King, threatening any individual who dared to cross him or appeared to be participating in “un-American activities”. Written by Dustin Lance Black, this biopic stars Leonardio DiCaprio as both the younger and the elder J. Edgar, in a film that spans several decades.